Nurses aren't only warm hearted medical professionals but they are also selfless, talented, and want to help make the world a better, happier place. This assistant Nurse is a prime example of what Nurses are really made of. Love. 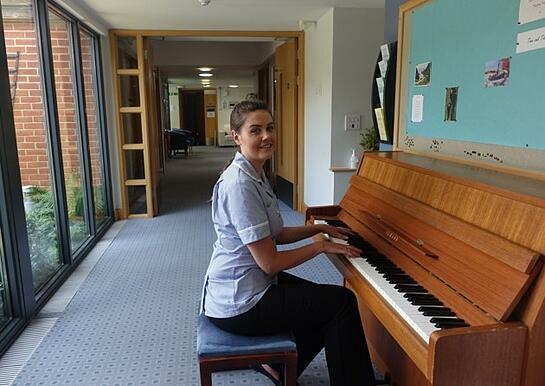 Hospice patients in eastern England were moved to tears by an assistant nurse’s touching rendition of an Adele song. Emma Young gave an impromptu performance of the British star’s 2008 cover of “Make You Feel My Love” at the St. Helena Hospice in Colchester on Friday. Video going viral shows her singing the track’s lyrics, which were written by Bob Dylan, while also playing the piano. Dozens of people have since commented on the clip, and have paid tribute to Young’s voice and the service that the hospice provides. Sarah Green, the hospice’s director of income and communications, told The Huffington Post it was “just amazing” to see the video go viral. Want more DiversityNursing.com content? Join our mailing list to receiver our bi-weekly eNewsletter!